The Montego Bay Jerk Festival is back for its 9th year with ‘everything jerk’ and more for the entire family on August 1 at the Catherine Hall Entertainment Centre. Patrons may look out for the usual jerk food village coupled with activities and wholesome entertainment for the family. The event highlights and celebrates the contributions and influence of the Jamaican Culture and seeks to give the patrons a little piece of yesterday aligned with today’s enhancements. The 2018 stage will see a live performance from International recording artiste, Khago, who has not performed in Jamaica in over three years and is eager to introduce his new artistry and image to the fans. He’ll be performing favourites from his catalogue along with songs from his Billboard chart topping album “Walk A Mile”. Khago states “I graciously accepted the offer to perform on stage for Jerk Fest! I have not performed on a big stage in Jamaica since December 2014 and am honoured to perform for my people/ fans in Jamaica who will attend Jerk Fest”! 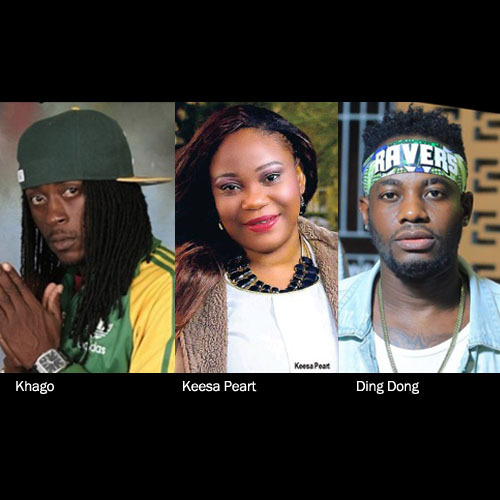 Alongside Khago, fast rising superstars Ding Dong and Shenseea will be gracing the stage as well as Montego Bay’s sons Teejay and Rygin King. Rev. Goddy Goddy and Keesa Peart will bring the gosepl element of the show that patrons look forward to yearly and the new segment to the line up will have Blakka Ellis, comedian extraordinaire, feeding the audience with a belly full of laughter. Tickets are on sale at Fontana Pharmacy, Top Mart, El Paso and www.firstinlineja.com. The pre-sold rate is $1200 and at the gate is $1500. Children under 12 are free before 3 pm and $500 after. The Montego Bay Jerk Festival is sponsored by Grace Foods, Optical Solutions, Jamaica Tourist Board, Catherine’s Peak Spring Water, Ward’s Power Tools and more.